For the most part, despite everything, we were prepared to give the benefit of the doubt. Yes the McLaren Honda since the partnership's return to F1 was persistently off the pace, but we could point at mitigating circumstances. Plus things seemed at least to be going in the right direction, albeit progression was slower than hoped. That was until the new machine for 2017 - new in colour scheme and nomenclature too as the MCL32 - started to run on track. Or rather not run. All eight test days were characterised by stuttering, piecemeal appearances - usually 10 laps maximum at a time - before conking out thanks to power unit related maladies. First there were multiple unit failures then repeated electrical problems from excessive vibrations. And the thing isn't even fast but fragile. It instead lacks desperately through speed traps - as much as 25km/h off the quickest - although in some defence the unit has been run turned down given the problems. Its mapping too makes the car difficult for its drivers to tame. And it all added up to being around three seconds a lap shy of the pace. Little wonder racing director Eric Boullier spoke of "maximum" strain between team and engine supplier, and that Fernando Alonso spoke later of there being "no reliability and no power" from the Japanese unit. Some expect the orange cars to fill the back row in Melbourne. It's too early of course to talk of things being back at square one but it had plenty of outward similarities. It felt too that with all of this a few long since taut senses of patience finally snapped. And while it's been tempting this whole time to think that all would be rosy as soon as the Honda is got right a few have asked questions of the McLaren chassis also. Observers in testing have noted it looking nothing like as nailed through the corners as the nominal front-runners and in a way that may not be explained by a lack of set-up work done so far. Gary Anderson after the first test rated it the worst chassis of the ten out there. It may reflect, at the very least, that with a power unit so lacking it will have been very difficult for the team to rate where its chassis development is. 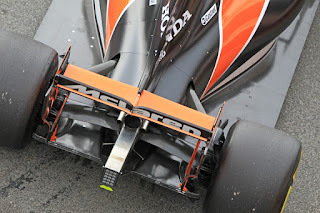 The new aero regulations were essentially a McLaren proposal too, which would add to the ignominy of getting them wrong. Furthermore Alonso spoke in the first test of the extra drag from the new regs counting further against the Honda's lack of grunt. But the problem for the McLaren Honda partnership remains as it was in another sense as well - that to a large extent they remain stuck with each other. Not only will acrimony likely be counter productive, switching engine suppliers mid-stream, as some have suggested, will not be at all easy technically or administratively. Perhaps it will all suddenly click. As noted the no reliability/no power issues are in fact likely related rather than disparate. Perhaps the chassis will look much better too if the unit's problems are solved and it starts shoving out what was expected. Perhaps. But one wonders how long all can keep talking in such terms. Including the team and engine supplier who continue to suffer so much reputational damage. "One cannot stem the tide forever," noted Will Buxton at the time it was confirmed. After a few years of procrastination McLaren bowed the inevitable finally, breaking its all-champion race lineup to make room for its prodigious protegee. One who comes highly recommended. 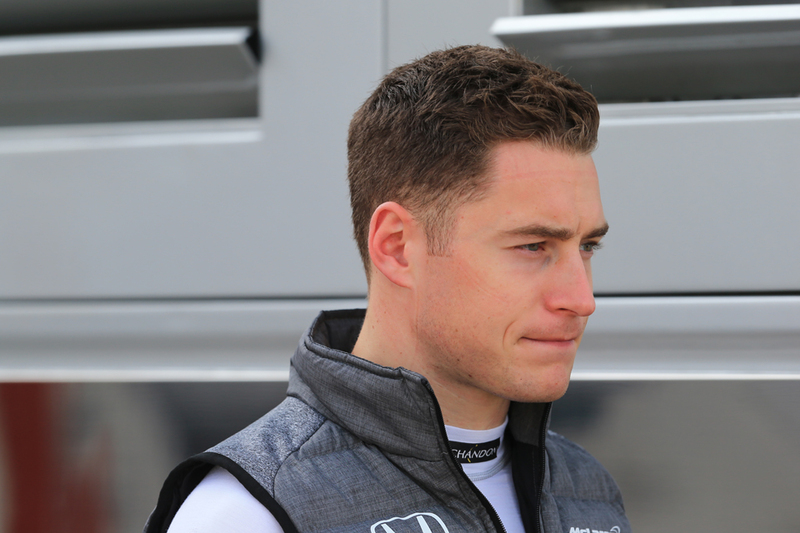 "Stoffel Vandoorne is, alongside Lewis Hamilton, the single most exceptional talent I ever witnessed in GP2," concluded Buxton glowingly. 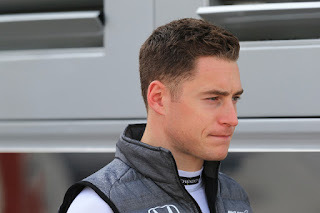 In 2014 Vandoorne became only the fourth driver in history to win his GP2 debut race, and in the final dozen races that year he outscored eventual champion Jolyon Palmer on the way to a fine runner-up slot. While in 2015 he was crushing in claiming the GP2 crown for himself, and scored near enough double the points of the next guy up. Yes he had everything in place to prevail, but McLaren made it clear that he had to deliver the title. And even so the scale of his triumph shocked. He showed too that he is not just one to lead from the front, as in reverse-grid sprint races he ghosted forward time after time, looking after his tyres well and showing Alonso-like abilities to vault places amid the chaos of the opening corners. Last year his brief and 11th hour F1 race weekend debut in Bahrain did his reputation no harm at all. The parallels with Lewis Hamilton go further, as plenty point back to a decade ago and Lewis getting his full debut season alongside Alonso at McLaren, just as Stoffel is now. We all recall what that entailed. Expecting something similar from Stoffel though probably is unfair for a few reasons. Plus the car will no doubt be more difficult, and we've seen repeatedly in warped F1 that even the most promising talent can have their reputations suffer by association with poor equipment. Usually too being paired with Nando is quite the graveyard shift. But then again the placid yet exceptionally talented Belgian seems very well-equipped to handle it all. Few in and around F1 doubt that Fernando Alonso given a car good enough, or nearly good enough, would still most likely take it all the way to a title. And if last year was any sort of guide all of his repertoire remains as sharp as ever - relentless pace, unquenchable determination, pitiless aggression. The only problem is that it has all been rather wasted by an achingly disappointing McLaren Honda project. And Alonso indeed makes no effort to conceal that for him the title is the thing; that the lack of championship number three irritates like an uncleansed sore. 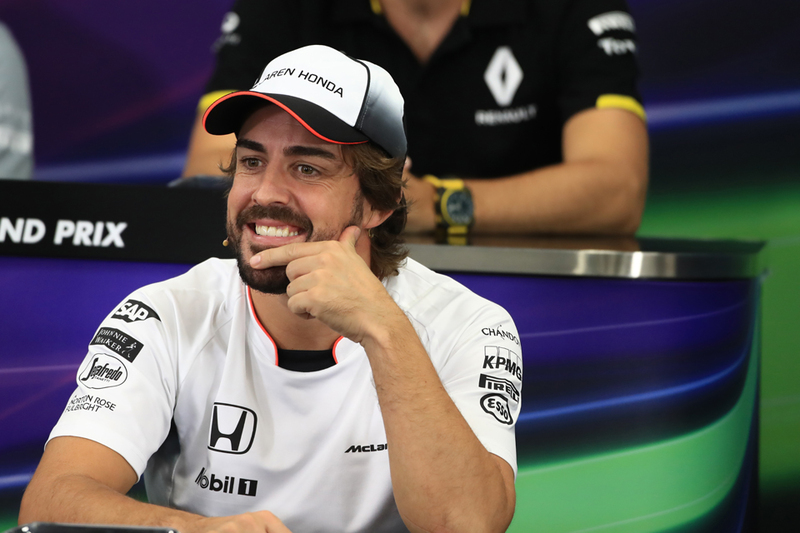 Even before the MCL32's woeful on track debut Alonso noted that even podium finishes this year would "probably not" satisfy him. He doesn't conceal either that he's a man in a hurry, and doesn't always conceal his frustrations at his underpeforming mount more generally. We tend to view Alonso as a pressure cooker on the verge of explosion at all times, perhaps on the point of walking or else alienating others sufficiently to be punted by his team, and the risks now are foreseeable. One can construct a plausible scenario involving yet another disappointing McLaren Honda plus Alonso in the final year of his Woking contract, and in the second test some thought he'd started early on that one (though word was he said what he did with the team's blessing). But we've said that sort of thing of Alonso plenty before, and he's still here. Plus usually once his visor is down he doesn't know any other way than to go for it - "I will be 80 years old in a go-kart pushing kids out of the track" he noted recently. Self-interest will dictate too - if he wants selected for a plumb drive in 2018 (and plenty think he does) he'll need to do himself justice on track in 2017. For all that some seem gleeful in speculating to the contrary, in modern F1 few have got rich by writing off Fernando Alonso.